Red-crowned cranes were once thought to be extinct, but in 1924, a colony of red-crowned cranes was miraculously discovered in the Kushiro area. The red-crowned crane was designated as a natural monument in 1935, and protection activities continue to this day. 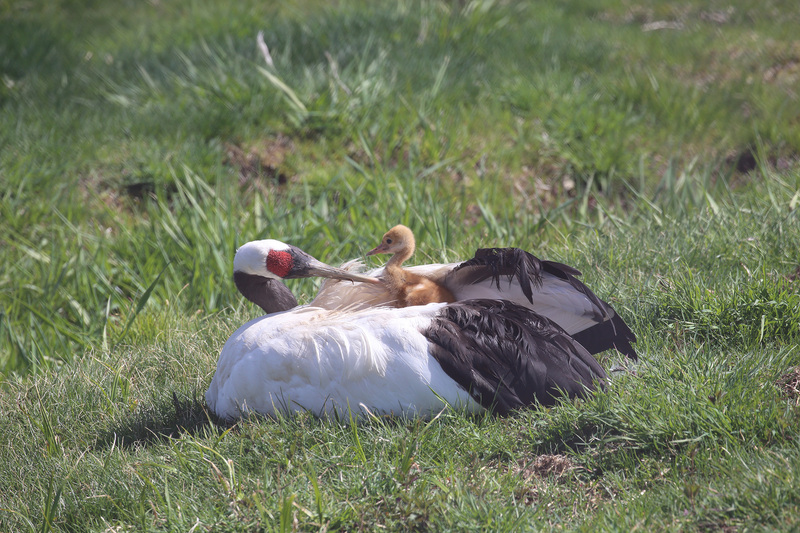 In April, red-crowned cranes return to the wetland. Each pair builds a nest in the same area every year, where the cranes will live and protect their territory. The nests are particularly concentrated in the areas of the wetland with reeds and sedges. They are made from materials such as dried reeds and are around 1m wide and 40-50cm high. 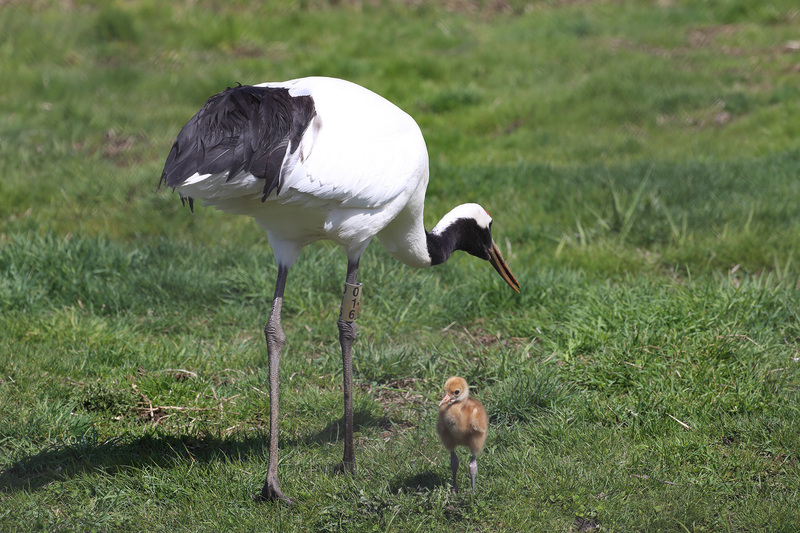 Red-crowned cranes usually lay two eggs, each around 10cm long with a weight of around 250g. The male and female take turns warming the eggs, and the chicks hatch after around 32 days - a little over one month. 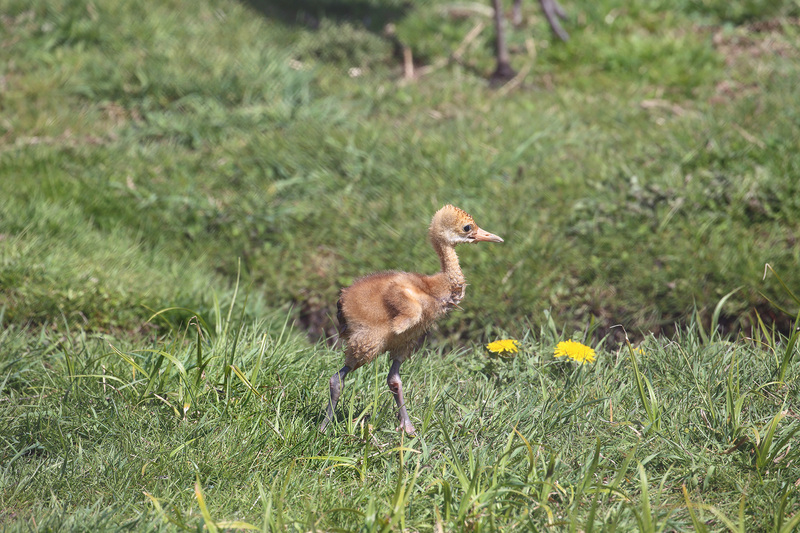 Baby red-crowned cranes grow quickly, around 2cm each day. Newborn chicks are around 13cm long and weigh around 130g, but by the time they are three months old they are around 1.4m long and weigh around 10kg - the same size as adults! 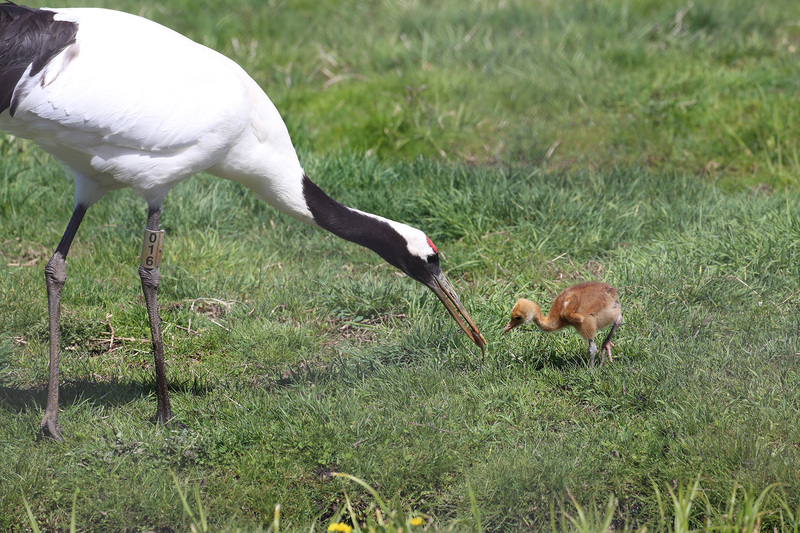 The red-crowned crane's call is so loud that it can be heard 1-2km away. The growth of a red-crowned crane Spring: Red-crowned cranes return to their breeding ground in the wetland in March, where pairs bond through song and dance. Mating season reaches its peak in April. Summer: The chicks hatch and begin their life. Autumn: After reaching their full size, the young cranes leave the breeding ground with their family and travel to the place where they will spend the winter. Winter: The young cranes finally part ways with their parents, either being forced out on their own or left in the feeding ground.